Written on Sept. 27, 2017 in Community Outreach , Interpretation . The Upper Swan Valley Historical Society in Condon, Montana operates a small, locally funded and staffed museum in West Central Montana. The Society has been in existence since 1988, but didn’t acquire its museum until 2011. 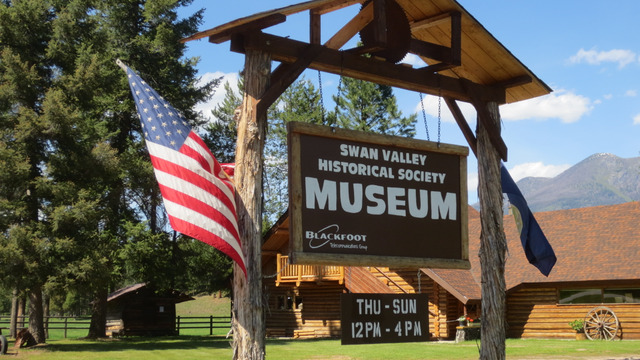 Since then, the organization has collected artifacts and constructed displays about the valley’s Native American, Homesteading and Logging History in the main, log building. It also has collected and restored 5 additional, smaller structures and located them on the museum grounds.